Our challenge was to design a lady's watch with a marine spirit not only on the dial, but with a marine connection between the case and the dial. 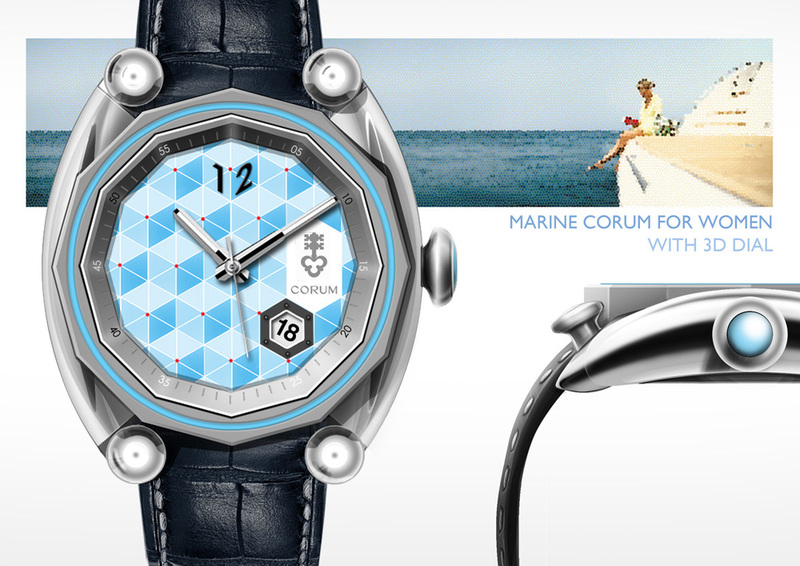 The result of this work was our design proposition for Corum. The case is shaped in the form of a boat or yacht like Riva. The dial has 3-dimensional surface. Like ocean waves in real life.